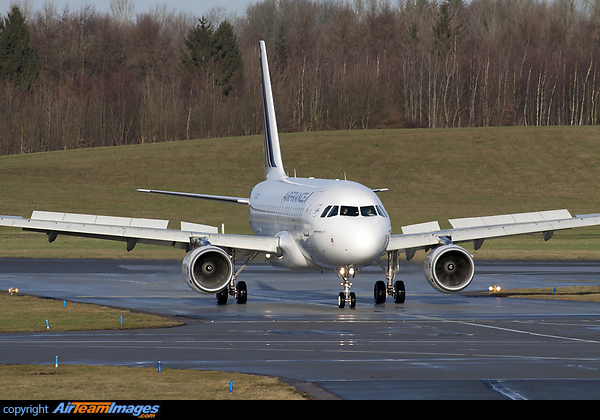 The A318 is a twin engined medium range airliner, it is the smallest member of the A320 family. Aimed at the 100 seater market, it has 3 fuselage frames less than the A319. Sales have been slow due to strong competition and early engine problems. 2 x CFM CFM56 (18500 - 34000 lbf) or Pratt & Whitney PW6000 (24000 lbf) turbofan engines. 2 x Pratt & Whitney PW6122 or PW6124 turbofans. The CFM56-5B/P is now offered as an alternative.